Need a winter retreat and some tropical style? You have come to the right place! 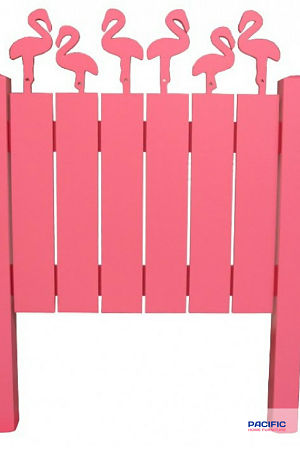 Welcome to the Coastal Blog for Pacific Home Furniture! Let's head to the tropics for ideas for your home! 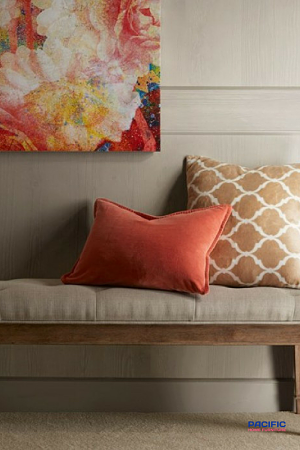 Beautiful pillows in vibrant colors added to a bench in the entry way welcome guests! Add artwork in tropical colors of orange, blue and red. 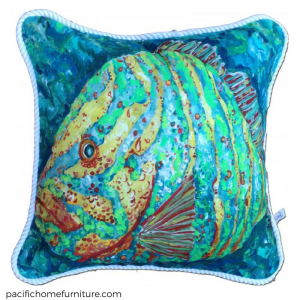 Find our Spotted and Striped Grouper Tropical Fish Pillows here! 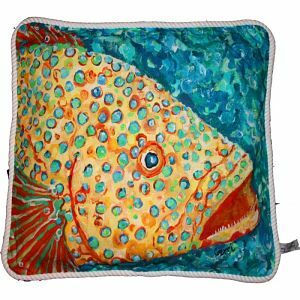 These pillows are suitable for indoors or a covered space outdoors. 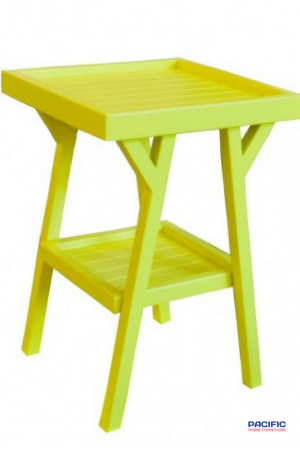 Add a colorful custom made Tide Side Table in a tropical color of your choice. Children's rooms can have a fun tropical look of their own with a Flamingo Headboard! Both of these pieces will be custom made. Woven fabrics and textures are classics for the tropical style!. 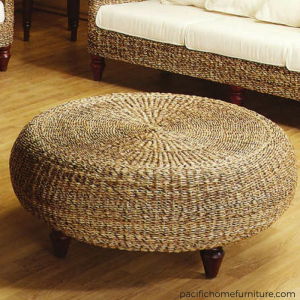 Our Tropical Ottoman is a beautiful piece, durable and green! 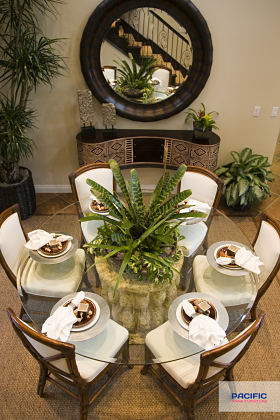 Woods are generally dark, warm and exotic, as shown in this dining room. 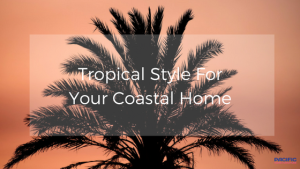 Thinking about tropical decor or a furnture change in your home? I hope this blog has given you a bit of inspiration. We always appreciate hearing from you! Comments welcome below or here on our contact us form! Visit our Tropical Home Pinterest board! We would love for you to join us!